Here are the key feng shui ‘predictions’ for 2010. Love will be in the air all year round. It’s interesting that the Chinese New Year start on 14th February (Sunday) – Valentine’s Day. Over a billion people will be celebrating the Chinese New Year, and the rest of the world (6 billion people) will be celebrating love. Set your loving intentions for the year. Communities are going to be very important in 2010. Make an effort to connect to your local community. When walking in your neighbourhood greet people to make a connection – whether it is a ‘hello’ or a smile or just a head nod, start creating local bonds. Nuclear power or energy might be out of balance this year. Looking back, most of the Metal Tiger years had some problems with nuclear energy, ranging from technical problems with nuclear reactors (the Chernobyl disaster in 1986) to international military tension regarding the nuclear arsenal (1950). The year started with nuclear disarmament talks in North Korea. China is an integral part of the negotiations. Tony Blair voiced UK concern over Iran’s nuclear uranium enrichment move. Send out your peaceful thoughts to keep the world in balance. 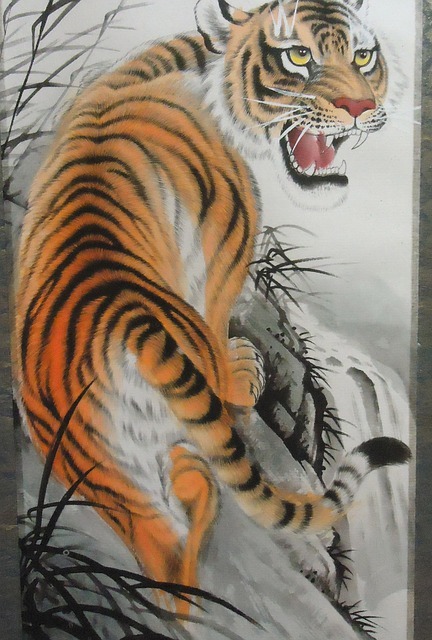 Water element (which is to do with money and finances) is almost entirely missing in the year of the Tiger. So finances and investments will probably be a bit flat in 2010. To boost your business use water to enhance your wealth corner or career area. Real estate will do quite well this year because 2010 is also a ‘mountain’ year (8). Place a ball of water or photo of koi carp in the North East part of your home or business. Turquoise is the colour for 2010. It can be used to enhance your finances. Women – buy some turquoise jewellery or fashion accessories. The only month that has an active ‘water’ element in 2010 is April – plan product or brand launches for that month. Then winter naturally has more of the water element, so business should pick up in winter months. July and August can be particularly challenging financially on a global scale. £20 and £10 bank notes are very significant this year. Place one £20 and one £10 bank note folded three times in your wallet for the whole year 2010 (when unfolded there would be 8 parts). Don’t spend them until the end of the year (if you do, replace them as soon as possible). Since 2010 is the year of the mountain (8) which represents knowledge, skills and wisdom, this is a perfect year to learn a new skill to increase your knowledge and wisdom. Enrol on a speed reading course – a great skill for learning to learn. Since the energy of the mountain is very conducive to meditation and contemplation, you can expect enhanced meditation experiences – or it’s a great year to start meditating if you’re not doing it already. Research suggests that mediation is the best way to advance personally and spiritually. This year though, the mountain can also become a volcano, which could manifest itself as some kind of revolution. According to classical feng shui, the ‘negative’ energy is coming from the South West this year. Avoid doing too much construction work in that area of your home or business. Hang a wind-chime (ideally six hollow shiny metal rods – but any metal windchime will do) OR place some metal objects if the wind-chime is not appropriate in the South West part of the house/flat/room/property. This is to protect from the negative energies coming from that direction in 2010. Millions of people will do this all over the world this month (especially in the Far East). If you want to turn around your business or shift to another level with your life do a simple feng shui ritual on 20th May between 3-5pm.